There's almost nothing quite like a peaceful canoe trip with a stunning view and a couple good friends. 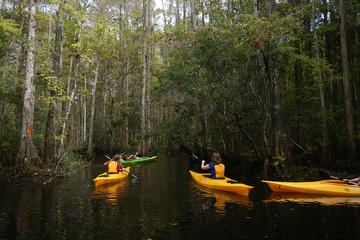 Ever thought about what places in the world are the best to canoe or kayak in? That's why we've created a list to help add some amazing trips to your bucket list! Set in the Cariboo Mountains of central B.C. amid gorgeous scenery, this 72-mile long, rectangular circuit of lakes and rivers is a great one for beginners. The Cariboo River can be a bit tricky in spots. But if you pay attention it shouldn’t cause any grief, as there’s no whitewater. Referred to as “the swamp” by locals, Okefenokee National Park is another great place to see wildlife… as long as you don’t mind keeping company with alligators. They generally don’t bother anybody unless you get too close. But gators aren’t the only wildlife you’ll see there:. Black bears call the Okefenokee home, as do white-tail deer, ospreys, herons, woodpeckers, hawks and sandhill cranes. 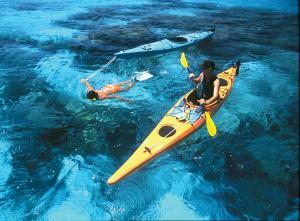 Belize offers novice kayakers a great opportunity to enjoy paddling, sun, sand, snorkeling and culture. The snorkeling there is fantastic, with all kinds of cool coral and multitudes of exotic-looking fish, including reef squid and the occasional barracuda. Our base camp was near Placencia, a center of Garifuna culture, which features a conch-shell sidewalk and a bar/post office to visit before or after your kayak trip. There’s still debate about what river is the world’s longest, but South America’s Amazon River is the largest in terms of total discharge. While it is threatened by logging and other business interests, the Amazon still encompasses the world’s largest continuous cover of tropical rainforest. 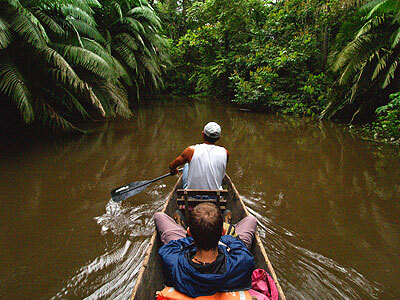 Canoe here for a once in a lifetime look at some of the most exotic geography on this planet!